Confession alert: I've read quite a bit of Shakespeare in my day, but the Tempest is new to me. 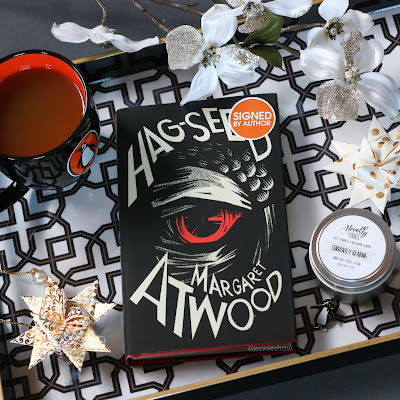 At first, I worried about not having a reference point for HAG-SEED, but my concerns didn't last long because Margaret Atwood did a great job of summing up the high points. If you have the same fear I did, rest easy. All you really need to know is that the Tempest, and therefore HAG-SEED, is about revenge. Dirty, manipulative, triumphant revenge. Which was fine by me because revenge is awesome to read about. Haha! Only HAG-SEED was more than fine. HAG-SEED was straight-up awesome! Because Felix was pissed, guys and gals. He was wronged and not happy about it. And like any good super villain, after his humiliation, he retreated into solitude to fester over the unjust betrayal that befell him. That's not to say that Felix was a super villain though, because he's as human as you or I, but there were times he was probably spindling his fingers offstage. As such, he was fascinating to watch. Margaret Atwood's prose, filtered through Felix's desire for (metaphorical) blood, created an endearing, articulate voice, delivered with a dramatic flare. Ah-mazing. Wait. How have I gotten three paragraphs into my review without addressing HAG-SEED's unlikely setting of a prison? Not a jail, but a prison (one loosely based on the Kingston Pen). 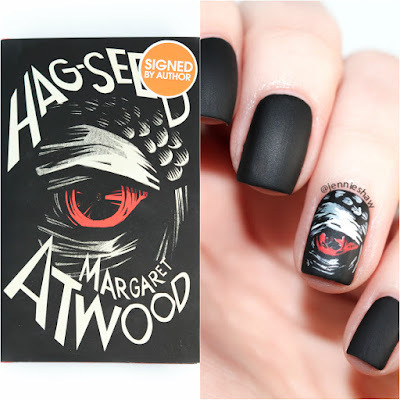 I swear, only Margaret Atwood could write a Shakespeare retelling with criminals named 8Handz and Bent Pencil. Like, what is even happening in this book?! Haha! A million awesome things, people; one million awesome things are what's happening in this book. It's dark, funny, touching, and sharp. So whether you're a Shakespeare fan or not, you need to read HAG-SEED. The extra bonus, aside from supporting a Canadian author, is that you'll feel a little bit smarter after you finish. Because Margaret Atwood. OPI - Black Onyx, A Good Man-Darin Is Hard To Find, and Matte top coat. Tools - trimmed striping brush. *flails* I can't wait to read it! This is one of the Hogart Shakespeare books, and I've read two of the others (Sherlock is My Name by Jacobsen and Vinegar Girl by Tyler). I need to read The Gap of Time, which is a retelling of The Winter's Tale and sits on my shelf, unloved. Tempest is a great one- as a play, it's so Shakespeare as a wise old man. But as a book? It sounds awesome. Also awesome? 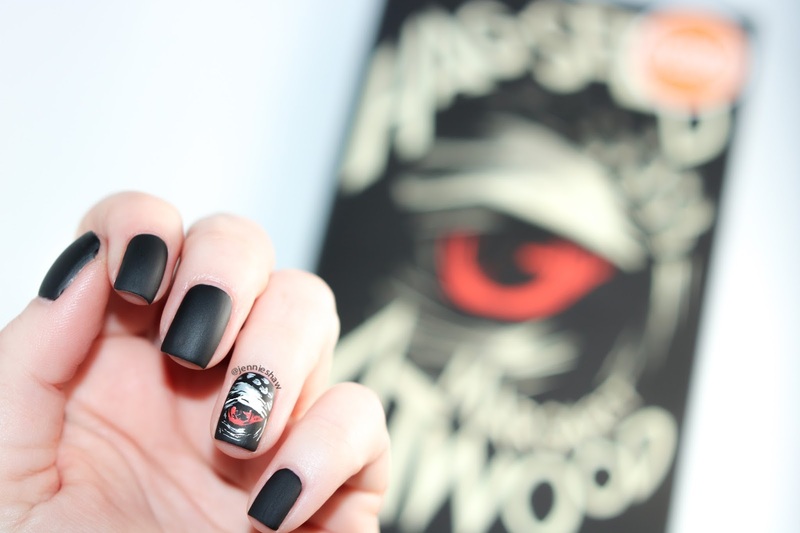 Your mani. The detail, as always, blows me away.